The Goldschmidt Family will receive condolence calls at The Wisconsin Club following the Graveside Services. Of Richmond, VA, formerly of Milwaukee, WI. Passed away on April 6, 2017, age 101 years. Preceded in death by his wife, Friedl (nee Haas) and his son, Steven Goldschmidt. Father of Robert (Mary Kay) Goldschmidt. Grandfather of Leah Goldschmidt and Ashley (Aisha) Apple. Uncle of Ronald (Cathy) Goldschmidt, Linda (Sandy) Ehrenreich, David (Lisa) Haas, and Karen Haas. Further survived by other relatives and friends. Mr. Goldschmidt was the owner of Wisconsin Floor Covering in Milwaukee and was a volunteer at Columbia Hospital for many years. He was a kind, gentle, and generous man, beloved as a father and grandfather, who lived his life humbly in service to others. In lieu of flowers, donations may be made to his favorite charity, Food and Friends (foodandfriends.org). 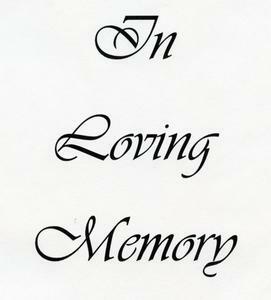 Graveside Services will be held at 11:00 AM on Mon. April 10, 2017 at Greenwood Cemetery, 2615 W. Cleveland Ave. in Milwaukee, WI.